Ardbeg Distillery opens stunning luxury self-catering home . Whisky fans will now get the chance to come and stay at the iconic birthplace of the Ultimate Islay Malt. Ardbeg Distillery, home of the Ultimate Islay Malt, can now offer the definitive getaway for any whisky fan after restoring a 19th Century cottage at its iconic distillery on Islay. Seaview Cottage offers stunning views, a location steeped in history, and every modern day luxury you would expect allowing visitors to unwind with their favourite dram at the very place of its origin. Ardbeg’s Seaview Cottage has been renovated to the highest standards, with two double bedrooms and one twin bedroom, providing elegant self-catering accommodation at the very heart of the distillery. Ardbeg’s Seaview Cottage is filled with quirky charm and inspired by Ardbeg’s peaty character, the dark herringbone oak flooring is reminiscent of traditional peat stacks. The three bedrooms can be found on the ground floor, which allows all guests to enjoy the most breath-taking views of the sea from the first floor wood decked balcony. Whilst staying at the cottage, guests are welcome to take a tour of the distillery with Jackie Thomson, Global Icon Visitor Centre Manager of the Year 2013, and to eat at the Old Kiln Café, with delicious dishes created from fresh local ingredients. Nearby attractions include the 8th century Kildalton Cross, the finest example of a Celtic Cross in the west of Scotland, and guests might also wish to take a ‘seafari’ to the tumultuous Corryvreckan whirlpool (weather permitting of course! ), or go searching for whales, basking sharks and other big and untamed sea creatures that inhabit the deep coastal waters. After a hard day’s exploring the island you can pick your favourite armchair and relax with a dram or two by the glow of the peat burning stove. Whisky heaven you might say! Further quirks can be found around the luxury accommodation, such as an oak sideboard made with only hand tools by ‘Rabbitman’ Peter Heap, and in the lounge area the ‘Hotpod’ stove was inspired by a recycled gas cylinder and VW car parts. A polished aluminium ex-French Naval pattern Morse signalling lamp that doubles as a handy reading light will amuse those in need of more low-tech communication technology than the internet and satellite. Ardbeg’s Seaview Cottage is in the heart of the Distillery and guests will no doubt enjoy the continual discovery of unique items around the cottage. SOMERDALE, NJ – New Jersey’s largest craft brewery, Flying Fish Brewing Company (900 Kennedy Boulevard, 856-504-3442), has debuted a bottle version of their wildly popular Forever Unloved (F. U.) Sandy, a hybrid wheat-pale ale. Originally available only on draught, the beer has generated more than $45,000 for New Jersey victims of 2012’s Superstorm Sandy, and a portion of proceeds from the bottles, as well as from branded hats, t-shirts and pint glasses, will also be donated. F. U. Sandy is brewed with a 50/50 blend of Two Row Pale Malt and American White Wheat. It is hopped with experimental hop ADHA 483, which had never been used in a beer before this one. The beer boasts a beautiful, tropical nose of mangoes and guavas that accentuates its soft mouthfeel and contributes to an ale that is truly one-of-a-kind – much like the beloved Jersey shore. It will be available in 750-oz. bottles, and the instantly recognizable logo will also appear on a line of hats, t-shirts and pint glasses, available online (click to shop), with a portion of proceeds also donated to storm recovery causes. Muller and his team hope that this second release of F.U. Sandy will generate an additional $25,000 for charitable and non-profit organizations devoted to supporting New Jersey’s recovery from the historic storm. The first F.U. Sandy brew produced approximately 100 kegs of beer, sales of which generated $45,000 donated to: Habitat for Humanity and three shore-area chapters, Southern Ocean County, Northeast Monmouth County and Coastal; Hurricane Sandy New Jersey Relief Fund, the largest statewide relief organization relief organization; and Conserve Wildlife Foundation of New Jersey, to rebuild shore-area habitat destroyed by the storm. Flying Fish was the world’s first ‘virtual’ microbrewery, establishing an Internet presence as early as 1995. That presence helped to generate press interest and woo investors to the fledgling brewery, which would not open for business until late 1996. Flying Fish primarily distributes in Delaware, Eastern Pennsylvania, Maryland, New Jersey and Washington D.C. The also have limited distribution in Arizona, California, Florida, Georgia, Nevada, North Carolina, South Carolina and Virginia. In 2012, Flying Fish moved into a new facility in Somerdale, making it the largest brewery built in the state since prohibition. The move allowed Flying Fish to quadruple production. The facility also boasts many sustainability features to brew beer in the most environmentally friendly way possible. Flying Fish produces a range of beers year-round, as well as some seasonal specialties. They also produce the Exit Series, a special selection of beers highlighting the state of New Jersey through the various exits of the New Jersey Turnpike. For more information about F. U. Sandy or any of Flying Fish’s beers, please visit them online at www.flyingfish.com or call (856) 504-3442. 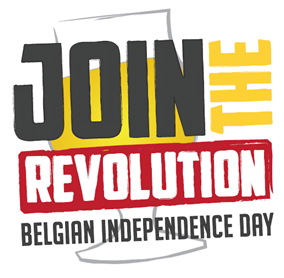 PHILADELPHIA, PA – Legendary Belgian Brewery and Importer Duvel Moortgat will celebrate Belgian Independence Day from Wednesday, July 17through Sunday, July 21 (the official holiday) with a week of events to mark the uprising that separated Belgium from the Netherlands. Across the region, 10 various bars, restaurants and markets will serve Duvel Moortgat’s portfolio of award-winning Belgian and Belgian-style beers by the bottle and on draught, or during tap takeovers or as flights of beer created just for this beer-holiday. “On July 21, 1831, the people of Belgium most likely toasted their independence from the Dutch by raising a glass of fine beer in triumph. It is a great time for Belgian beer novices to get to know these popular styles – and a great excuse for long-time fans to indulge in a pint or two, as well,” says Megan Maguire, Duvel Moortgat Market Manager. Featured beers will include: Duvel, the iconic beer of Belgium has the rich flavors of a fine, blonde ale with the drinkability of a crisp lager; Duvel Single, a single-fermented, draft only offering with herbal, grassy and citrus notes with fine, soft carbonation followed by a crisp, dry finish; Duvel Triple Hop, the 2013 version showcases the Sorachi Ace hop alongside Saaz Saaz and Styrian Golding hops and lends pleasant citrus-filled lemon-lime aromatics and flavors; Maredsous Blonde, a blonde ale with soft malting and a slightly dry, gently hopped finish; Maredsous Triple, a golden-bodied Belgian triple with festive sparkle, creamy body and elegant smoothness; De Koninck, a sessionable pale ale with a full-bodied taste and velvety texture; De Koninck Winter, a deep amber-colored ale provides the perfect balance between bitter, sweet and dark caramel malt flavors (this beer was cellared for this special occasion, limited availability); and Ommegang Belgian Independence Day Double White, brewed especially for the occasion, is an amped up version of a Belgian White spiced with bitter orange peel, coriander and chamomile. Eulogy (136 Chestnut Street, 215-413-1918) 7pm to 9pm – Duvel, Duvel Triple Hop, Maredsous and De Koninck. Teresa’s Next Door Bar (124-126 North Wayne Avenue, 610-293-9909) 7 pm to 9 pm – Duvel, Maredsous Triple, De Koninck Winter and Ommegang Belgian Independence Day. TJ’s Restaurant & Drinkery (35 Paoli Plaza, 610-725-0100) 7pm to 10pm – Duvel, Maredsous Triple, De Koninck Winter and Ommegang Belgian Independence Day. The Belgian Cafe (21st and Green Streets, 215-235-3500) 8pm to 10pm – Duvel, Maredsous Triple, De Koninck Winter and Ommegang Belgian Independence Day. Bell Beverage (2809 South Front Street, 215-468-0222) 4pm to 6pm – Duvel, Duvel Triple Hop, Maredsous Brune and De Koninck. Logan Inn (10 West Ferry Street, 215-862-2300) 5pm to 7pm – Duvel, Maredsous Brune, Ommegang Witte and Ommegang Hennepin. Iron Abbey (680 North Easton Road, 215-956-9600) 7 pm to 9pm – Duvel, Maredsous Triple, De Koninck Winter and Ommegang Belgian Independence Day. For more information on Duvel Moortgat, please visit www.duvelmoortgatusa.com. Beer fans can follow Megan Maguire, Duvel Moortgat Market Manager Market on Twitter @OmmegangPhilly. Duvel Moorgat is distributed in Bucks, Chester, Delaware, Montgomery and Philadelphia counties by Muller, Inc. Muller is located at 2800 Grant Avenue, 215-676-7575. For more information, please visit www.mullerbev.com. Follow Muller on Facebook and Twitter. Though I gotta give props to the Gov for sporting a pink buttondown. Fits pretty nicely over that fleece that he has permanently bonded to his pelt. The commercial sucka and while the beer is great I cannot seem to drink enough for me to tolerate this ad campaign and the Gov-a-saurus.